On Wednesday 29th November, we had our 11th Demo Day at etc.Venues, St.Paul’s. It was a day of celebration of the great achievements of the nine tech for good startups that took part in our accelerator over the last three months. It was a great night with amazing pitches, good food and drinks and lots of networking. In the build up to Demo Day, our ventures practised their pitches tirelessly. You know what they say: “practise makes perfect!”. It all paid off as our ventures, fuelled with ambition and a desire to change the world, took to the stage and pitched to an audience of 250+ members about their entrepreneurial journey. 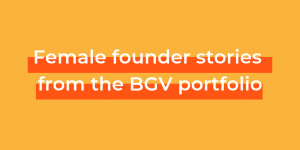 Three months ago the teams joined the BGV accelerator. They were all at different stages – some had just an idea, some had a product ready to be launched and others even had paying customers. But all of them had one similar motivation: to use technology to solve real social or environmental problems. It was great to see how much they have achieved over the last 12 weeks. I had the privilege to work alongside the teams, learning through our accelerator programme the necessary components of how to successfully run a tech for good venture. 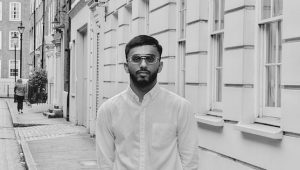 From learning about the importance of user research and service design all the way to demystifying the world of financial modelling and valuations. The best thing about being part of the accelerator programme was how the cohort, including myself, learned from and supported each other. It truly felt like a community. And then came Demo Day. The nine teams relayed three months of their hard work to us in the space of five minutes. In a packed venue, they reminded us that businesses need to be intentionally positive to make a difference. In a time where political disengagement is on the rise, it means that we need tech for good startups like React to empower a disillusioned society, giving a voice to people from all walks of life. We need ventures such as Ally to help tackle the alarming rate of homelessness of young people in the UK. And we need socially conscious ventures such as Mind Moose to educate young children and parents alike about the importance of mental wellbeing at a time when mental illness is becoming increasingly prevalent. At BGV, Demo Day marks the end of the accelerator for the teams, but it’s really just the beginning of their journey in making a positive change in society. Thank you to all those that attended and met this small group of amazing people. 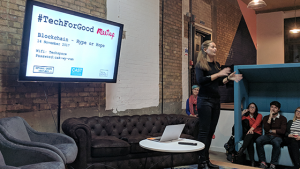 For all those that feel inspired and are interested in starting their own tech for good startup, we are always keen to learn more about people wanting to or already using technology as a force for good, so get in touch. If you want to learn more about the BGV accelerator programme we are holding Q&A sessions this month and in January 2018 as well as morning drop-in sessions to discuss your idea in more detail. Join us to find out how we can help you accelerate your tech for good startup.